Herbal Freshener is a professionally formulated wig spray designed to neutralize unpleasant odors between washings. 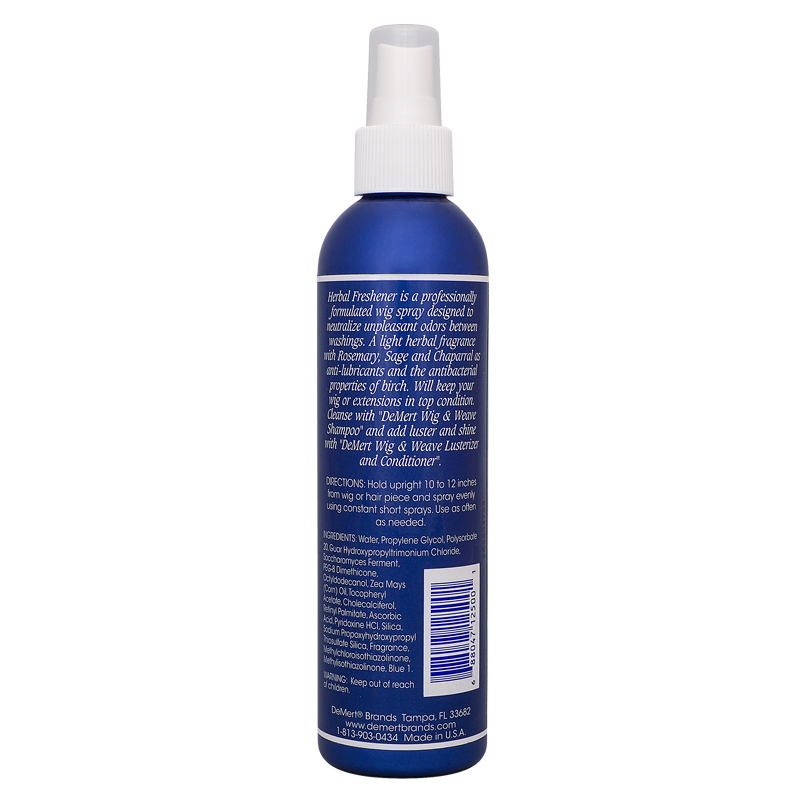 A light herbal fragrance with Rosemary, Sage, and Chaparral as anti-lubricants and the antibacterial properties of birch. Will keep your wig or extensions in top condition. 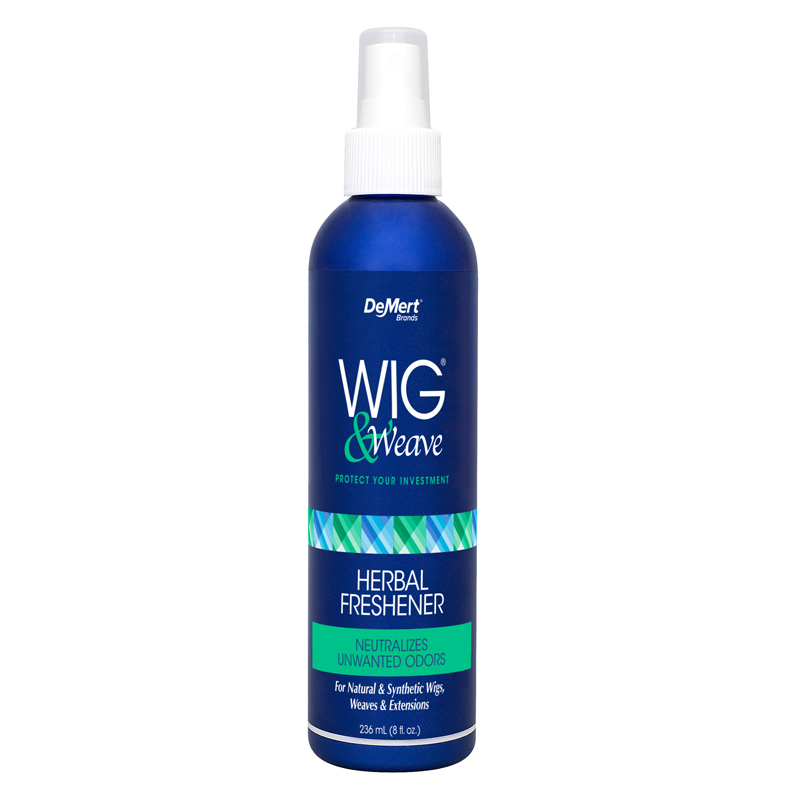 Cleanse with “DeMert Wig & Weave Shampoo” and add luster and shine with “DeMert Wig & Weave Lusterizer and Conditioner”. Directions: Hold upright 10 to 12 inches from wig or hair piece and spray evenly using constant short sprays. Use as often as needed.